Fluff and Tuff combine true to life designs with high quality fabrics including a thick reinforced inner liner to create ultra plush yet durable dog toys. 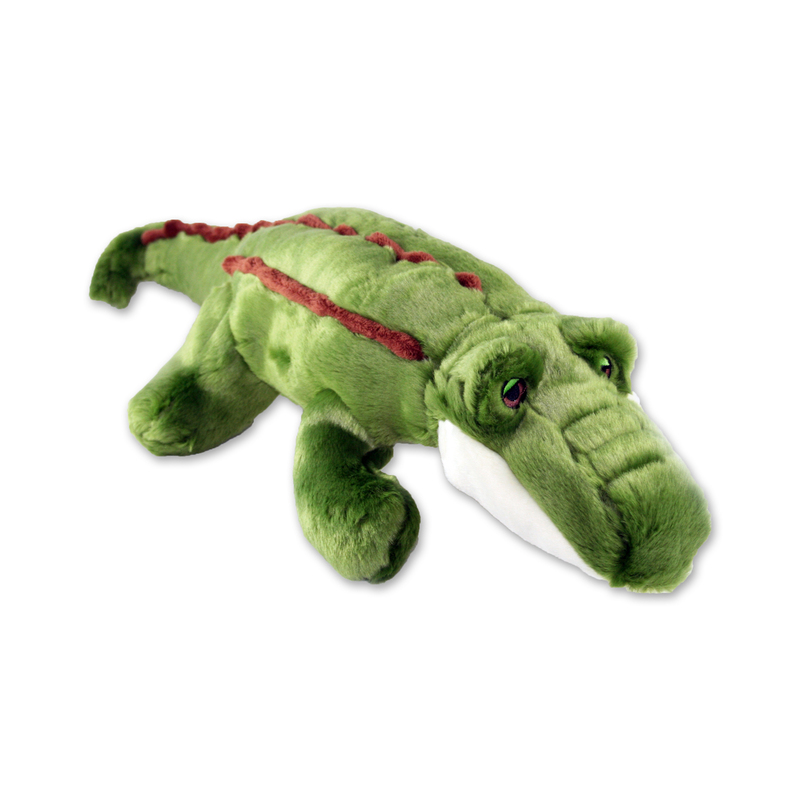 Fluff & Tuff dog toys are not made of hard rubber or knotted rope and are not indestructible. However, they are tougher than any other similar toys we have seen. They have a thick durable mesh liner and double-stitched concealed seams so dogs can't pick at the stitching. The toys have no loose pieces and details like eyes are embroidered. All toys contain a squeaker in a well-protected compartment. Fluff and Tuff are high quality durable plush dog toys that will survive rough play like tug and fetch and are soft enough to cuddle up with. We tested one on Elvis (our Newfoundland) and it has stood up to his chewing extremely well!